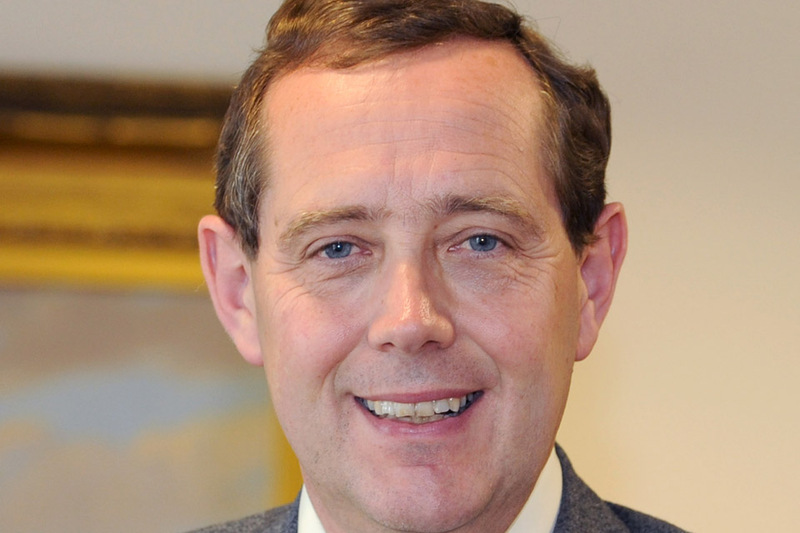 Speech delivered by Minister for Defence Equipment, Support and Technology Peter Luff at Malvern College, on Thursday 24 May 2012. Thank you headmaster [Headmaster of Malvern, Antony Clark]. Although of course, as a local Member of Parliament, like Harriet Baldwin, with the privilege of representing this county I’m aware that I say that with a certain partiality. Headmaster, thank you for your hospitality this evening. And I am delighted to see that we are also joined by Malvern staff, pupils and brilliant physicists. And Adam (Adam Palser, QinetiQ Group Plc), if you’re the custodian of Malvern then I suppose that I am the paymaster, so together we make a great team. As we gather here this evening we look back 70 years ago to a very different time and place. To the dark and terrible days of a nation, indeed a world, at war. But it was also a war that shaped the present day, and a lot of the changes we now take for granted. The move of aircraft manufacturers to the north west of England from London, for example, to take them beyond the range of German bombers. Now the north west is the centre of advanced aerospace. And May 1942 saw the headmaster of this college, all his staff and pupils, pack their bags and de-camp to Harrow School at the express instruction of the Prime Minister himself, Winston Churchill. Now Malvern is a centre of scientific excellence. One wonders, looking back, exactly why Harrow, a London school was chosen. I wonder if the fact that Churchill himself was an old boy had something to do with it? Apparently it was quite OK to evict Malvern pupils at just 1-week’s notice to the risky environs of north London as long as scientists had somewhere safe to carry on their important work. I wonder if today’s Malvern parents would be quite so understanding? However, it was of course a fact that German air attacks posed a very real threat to the essential work of the training research establishment, or TRE as it was known, based on the cliffs of Worth Matravers in Dorset. Churchill was absolutely adamant that TRE, and the RAF Radar Research and Development Establishment, be immediately relocated to Malvern. The fact that we had just raided the equivalent German facility also had a lot to do with it, as Adam [Palser] has just explained. It is sometimes said that the war [the Second World War] was won on the playing fields of Malvern. I am sure that there is a great deal of truth in that. The story of radar is complex and like so many personal endeavours, particularly in the field of human achievement, is the cumulative work of inventors, scientists and engineers from a number of countries over many years. But there can be no doubt that the work on the magnetron taken forward by the men and women working at Malvern, some of the great brains of their generation, and known affectionately by the RAF as ‘the boffins’, was ground breaking and changed the direction of the war. That scientific legacy was carried forward across the generations. And so Malvern developed that reputation as a hub of scientific endeavour which, thanks to Qinetiq, continues to this day. Over the years the research facility here at Malvern evolved over time to become the Defence Evaluation and Research Agency. The process of invention continued along the way, and a number of vital technologies were developed. Liquid-crystal display; how many local people know that came from here? I know a number of you here this evening worked for the agency, and that today has been a great opportunity for some happy reminiscing. The agency then went on to be split into 2 separate organisations back in 2001. One was Qinetiq. The other, the Defence Science and Technology Laboratory; still part of MOD, and more commonly known as Dstl. Qinetiq is now a global brand, and your scientists and engineers help some of the world’s top manufacturers push the boundaries of technology in aviation, energy, IT and space exploration. But, 70 years on you are still here in Malvern. The establishment of radar at Malvern was in part to protect the development of the ground imaging radar called H2S. And to be clear, that’s quite different to the high speed rail link HS2. Today, airborne radar imaging is performed daily in Afghanistan using synthetic aperture radar from Sentinel R1 surveillance aircraft. The performance of that vital capability Sentinel is due to world leading focussing algorithms developed at Malvern by scientists now working for Qinetiq. Robert Watson-Watt, a great pioneer of radar technology, was very clear about the importance of effective collaboration between the military and the scientists. It is a unique relationship which continues to this day. Today our servicemen and women look to British scientists for this special expertise and support. Indeed, the operational tempo of recent years in Iraq, Afghanistan and Libya have seen more scientists and operational analysts on the front line than at any time since the Second World War. Defence scientists today are certainly no back-room boffins. Commanders look to them for expert scientific advice and rapid technical solutions to very specific threats and issues. And our scientists have a 24-hour reach back to colleagues here in the UK and to our intellectual network in industry and universities. Making sure our people are well equipped and supported with the battle-winning capabilities. What was already very clear back in May 1942 was that technology was going to play a deciding role in the conflict and that electronic supremacy, what Churchill called “The Wizard War”, would be a deciding factor. And in today’s fast moving operational environment the imperative to be able to exploit new and emerging technologies is just as pressing. Which is precisely what we did when it came to developing Foxhound, the next generation of light protected patrol vehicle for our forces. When you’re looking for the ability to remove and replace an engine in just 30 minutes, and for that vehicle to be able to drive away from an ambush on only 3 wheels necessary, then you go to the very best. And why Foxhound was devised by engineers from, among other areas, the World Rally Championship, McLaren F1, and BMW, and incorporates Formula 1 racing technology. Technology has an absolutely fundamental role in providing defence and security to this country. Of course defence is really about people. So ‘well done’ to that hardy bunch from Qinetiq who have just recreated the journey taken by all those scientists from Worth Matravers in Dorset here to Malvern. That journey today was on 2 wheels, in aid of Help for Heroes. Well done on the £3,000. The success of Help For Heroes is clear evidence of the tremendous respect and affection of the British people have for our armed forces. As Minister for Defence Equipment, Support and Technology it’s my job, my duty, to ensure that these courageous and committed men and women have what they need to do their job. The best battle-winning capability and the best support. And it is a mission the importance of which I am reminded whenever I meet our armed forces. When I visit Afghanistan and meet the amazing men and women who work on the MERT, or medical emergency response teams. And have the opportunity to see for myself at first hand the groundbreaking technologies saving lives today on today’s front line. Technologies which owe so much to British scientific research. These days our forces are giving an unequivocal ‘thumbs up’ to the excellent range of kit and equipment now at their disposal. Brigadier Patrick Sanders, for example, who last year commanded 20th Armoured Brigade in Afghanistan has described the equipment his troops had, and I quote: “second to none” and “the best that I’ve experienced in 27 years.” And a lot of that is down to science. And of course I’m also reminded of the importance of what we all do to support our armed forces when I meet our serving personnel back here at home. A few weeks ago I was talking to personnel from the navy and RAF who took part in last year’s Libya campaign and were attending a reception at the House of Commons, held in their honour to celebrate their courage and heroism. And the deck hands of HMS Ocean who got the Apache helicopters off and safely home. They spoke of black helicopters on a black night on a black sea. Not an easy job with whirling blades, weapons loaded and adrenalin pumping. And I also spoke to the Typhoon and Tornado pilots, who flew 16-hour missions and struck, again and again, with such deadly precision against the Gaddafi regime. Our own county regiment, The 2nd Mercians, who I still think of, by the way, as the Worcestershire and Sherwood Foresters, have of course served with tremendous valour in recent times. Some have tragically lost their lives, and some have been very seriously injured. The RSM of the 2nd Mercians said something very perceptive about the young men and women he recently commanded in Helmand. People talk about the ‘PlayStation’ generation, and how the youth of today are not up to anything, but this is just not the case. In terms of soldiering, Afghanistan brings together everything you are trained for and learn; every single aspect of what makes the modern professional soldier. And these guys have proven they have what it takes. Humbling words. And a reminder that today’s armed forces are just as brave, and just as resourceful, as those sailors, soldiers and airmen of 1942. A readiness to explore new boundaries and exploit technology was critical then, and is just as critical today. I note that the Malvern College motto is: ‘Sapiens Qui Prospicit’ or ‘Wise is the person who looks ahead’. Actually, perhaps we should adopt it as a motto for the MOD. I do hope, headmaster, that you heed this clarion call; I know this is a school with an excellent reputation for promoting and recognising scientific achievement. I hope that you and your teaching staff encourage pupils to look ahead, to realise their potential, and pursue careers in these fields. This country needs our scientists and engineers. And a lot more of them. Industry is crying out for them. Our national security demands them. In fact, as I look ahead, I can say with absolute confidence that this country’s independence, and our contribution to a better and safer world, will continue to depend on our scientific wizards. Many of whom are here with us tonight. Wizards of the present, and I hope, of the future too. Congratulations, Qinetiq, on your first 70 years at Malvern. Your work is carrying forward the legacy of those early pioneers. The enterprising men and women who worked so tirelessly to push forward the boundaries of scientific endeavour. And to whom we owe so much.